first of all thank you for this wonderful app. I've just installed it, and already filled in my wines. I have one proposal, which I loved to see in the app in the future. I will take this feature request into the backlog. I am using your App and it is very useful. Just one problem: every 10th image is not stored and the application nearly always crashes, when I try to edit a EINLAGERUNG. If you need some more information, please contact me. Could you please send me your email-adress so that I can contact you. Die App ist Spitze ! 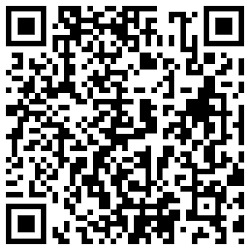 ... aber mit meinem System Andorid 4.0.3 kann ich den Barcode Scanner nicht mehr nutzen/installieren. Gibt es eine Alternative ? Da ich nun bereits einen nicht so leeren Keller habe, möchte ich zuerst die ganzen Weine im Excel aufnehmen, anschliessend als csv abspeichern und anschliessend in der Weinkeller-APP importieren. Solange ich dies mit den richtigen spalten mache sollte dies klappen, oder? Ich habe im Moment nur einmal exportiert und importiert. Da habe ich gemerkt, dass die Weine dann doppelt vorhanden sind. Wäre es nicht möglich eine "update"-Funktion (d.h. export mit interner Wein-ID und import mit "falls Wein-ID vorhanden, dann update, ansonsten add") zu haben. Ist sozusagen ein Feature-Wunsch. Oder es existiert schon und ich habe es leider übersehen (sorry)! Auf jeden Fall "Super-APP", besten Dank! For different devices it would be usefull if the storage place can be selected. Maybe directly on Dropbox. You have rigth and it works, but a lot of work each time. I think it is only a little bit work for you and helps a lot. danke fur deine sehr schon "app" ! i'd like to know if it's possible to create a new entry by scanning the bar code on the bottle ? thanks a lot for your answer and all your work ! Hello Jürgen! Thanks a lot, really great application! I am waiting for your next update. In the mean time, I allow myself to give some personal points. - for sync issue, I did not test it. I am wondering if I do the import and export thing all the time between two machines, the douplicate items will be detected or not? 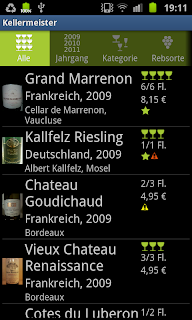 - last but most important for me, probably the same as many others who have not really a huge cellar to organise but a big interest in wine tasting, I use this application as a wine note to remember what I drink. At the moment, I put what I have tasted in storage, while put my storage as empty, so that I can see in the same time my small storage in empty list tab, and also can make comparisons among those I tasted in storage tabs. Therefore, I am wondering if it is possible to add a "mode" option. 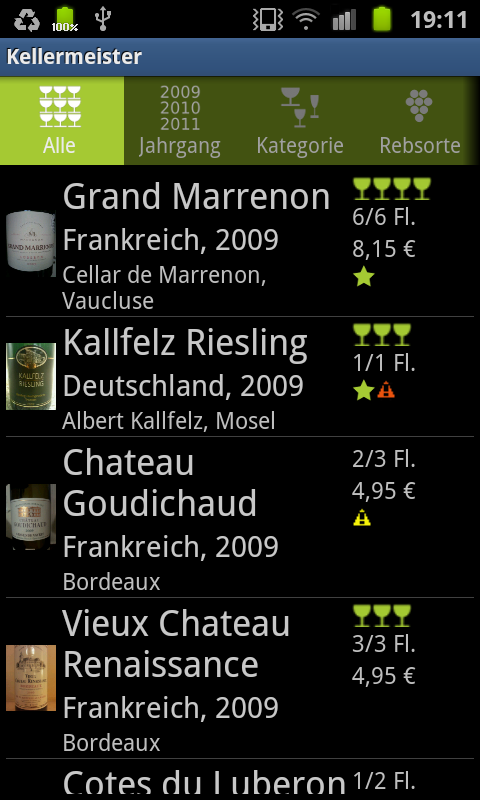 For example, note mode for wine tasting ntoe, and cellar mode for cellar organization. Regarding the tasting issue: I thought of having different cellars which could be useful if you have different tastings. What do you think about this in favor of having a mode option?